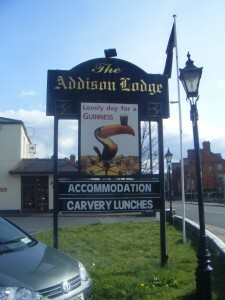 1) The Addison Lodge is now provisionally booked for Friday 17th April 2009 for the Cabra History.Com re-union night. Family and friends of those planning on being there are all welcome to attend. At the moment there is no set programme for the night. But who knows!!! 2) I am well into my second book which will be a pictorial history of Cabra and its people. My publisher wants it handed in by the end of January 2009. If you have any photos or stories that you would like included in the book please let me have them by end of December 08. This is a great opportunity for you to have your family remembered and recorded in something that can be handed down to your children and grandchildren as a family heirloom. 3) Those of you who have already submitted material, thank you. I may get back to you just to confirm that its ok to use your photos and stories. If for some reason you don’t want your material included don’t worry we’re not going to fall out over it. Just be mindful that some material may not be included in this edition. If this happens its only because of space or time restraints from the publisher. They can always be included in the next book. 4) I will be making contact with most of you in relation to the stories you have shared already on the site. Again there is no pressure on anyone to participate.